Washington, D.C. (April 6, 2016)— Today, we report that the Neurological Clinical Research Institute (NCRI) imaging team at MGH, led by Dr. Nazem Atassi, used PET imaging to successfully scan the first person living with ALS to measure inflammation in the brain, a promising first step in this imaging biomarker study. The ALS Association together with The ALS Finding A Cure (ALSFAC) Foundation, a program of the Leandro P. Rizzuto Foundation, funded investigators at Massachusetts General Hospital (MGH), Houston Methodist Hospital and GE Healthcare to develop biomarkers that would help with diagnosis of ALS and measuring the progression of the disease. The goal is to develop novel MRI and positron emission tomography (PET) imaging tools. “This is an exciting milestone towards the goal of developing the imaging approach as a readout for inflammation, a critical tool to expedite clinical trials. The study plans to enroll 50 ALS patients and 50 healthy volunteers, and we hope to be able to clearly characterize the role of inflammation in people living with ALS,” commented Lucie Bruijn, Ph.D. M.B.A., Chief Scientist, The ALS Association. “Inflammation is an important target for ALS drug development, and we believe imaging inflammation may allow us to design and conduct efficient ALS clinical trials and will accelerate the pace of ALS drug discovery,” said Dr. Nazem Atassi, the Primary Investigator of this study. “This important milestone was only possible through close partnership between the study teams at the NCRI, MGH molecular imaging team (Drs. Georges El-Fakhri and Marc Normandin), Houston Methodist Hospital (Drs. Joseph Masdeu and Stanley Appel) and GE Healthcare (Drs. Nadeem Ishaque, Randall Carter and Luca Marinelli),” he added. “We are excited to be part of this academic and industry partnership to accelerate advancement of PET and MRI markers of this devastating disease. We believe that a critical component to enable efficient clinical trials for new therapeutic agents is the development of reliable imaging measures of the disease. PET imaging could provide unique information about inflammation in the brain and the role it plays in ALS,” said Peter Foss, President of ALS Finding a Cure Foundation. This accomplishment is part of the TRACK ALS project, which is a large multicenter, longitudinal and comprehensive biomarkers study that includes imaging, whole genome sequencing, biofluid inflammatory biomarkers and induced pluripotent stem cell generation. The overall project goal is to identify new imaging markers of ALS that can be used to accelerate ALS diagnostic timelines and the pace of ALS drug development. The TRACK ALS project is funded through the ALS ACT initiative (see below). ALS Accelerated Therapeutics (ALS ACT) is an academic-foundation-industry partnership to accelerate treatments for people living with ALS. This partnership includes The ALS Association and the ALS Finding a Cure team, composed of researchers from GE Healthcare and four academic Northeast ALS Consortium (NEALS) sites. ALS ACT enacts a multi-pronged approach to expediting clinical trials in ALS. 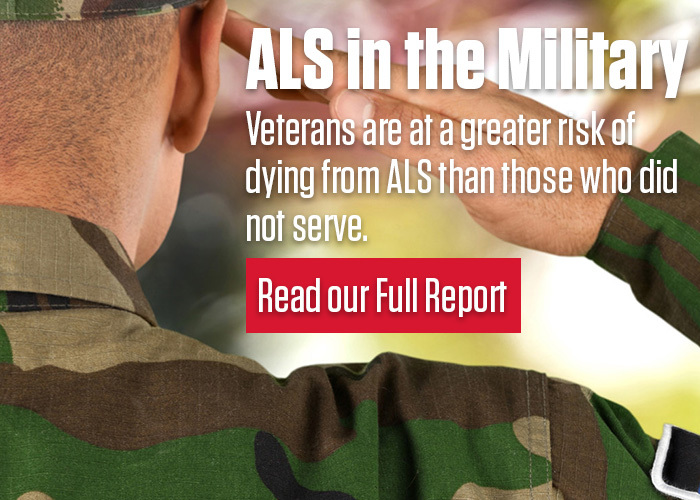 From funds raised through the Ice Bucket Challenge, The ALS Association made a $10 million dollar commitment to ALS ACT that was matched by ALS Finding a Cure Foundation. The Neurological Clinical Research Institute (NCRI) was founded in 1994 by Dr. Merit Cudkowicz and Dr. Steven Greenberg at Massachusetts General Hospital (MGH) to conduct clinical research in neurological disorders. The NCRI develops, designs, supports and manages innovative observational and interventional trials for neurological disorders with special focus on ALS. The NCRI has an impressive record of rapidly and efficiently organizing, overseeing, coordinating and conducting small and large multi-center, international clinical trials including randomized, double-blind, double-dummy and open label designs. The mission of the NCRI is to accelerate translational research in neurological disorders through initiating and testing novel therapies. Formed in 2014, the sole purpose of ALS FindingACure® is funding research to find a cure. The foundation’s goals are to translate funding into cutting-edge development tools, provide an open platform for neurological research material, understand disease heterogeneity to develop treatments and promote early detection for those affected by ALS. To break down barriers to finding a cure, we support collaborative science through partnerships, including with General Electric (GE), The ALS Association and Answer ALS. GE, one of our most important collaborators, has developed breakthrough technology to better understand the brain and spinal cord. In partnership, we bring their technology and knowledge to understanding ALS and accelerating therapy development. Our Chief Medical Officer Dr. Merit Cudkowicz leads our team of researchers and President Peter N. Foss oversees the foundation. ALS FindingACure® is a program of the Leandro P. Rizzuto Foundation. We are proud to report that 100% of donations go directly to funding research. ALS FindingACure® is inspired by and is a tribute to Christie Rizzuto, who was diagnosed with ALS in 2009 at the age of 41. It is Christie and the many others like her, who drive our work. For more information, please visit www.alsfindingacure.org.